I have bought this product over and over. I could not find it locally, I was happy to find it here. 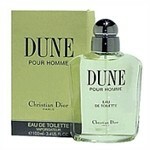 DUNE IS A CLASSIC, WONDERFULLY MADE DIOR FRAGRANCE. IT'S GREAT IN SUMMER BUT CAN BE WORN ALL YEAR LONG! A WINNER.